LINCOLN, Neb. 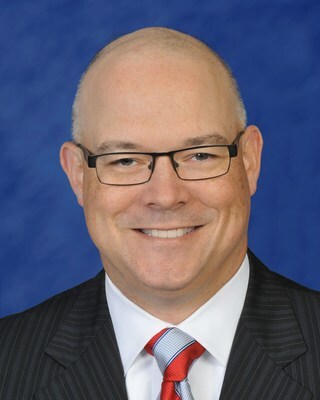 and TAMPA, Fla., April 15, 2019 /PRNewswire/ -- WellCare of Nebraska, a WellCare Health Plans, Inc. (NYSE: WCG) company, has named Tim Meyers as state president. In this role, Meyers oversees the plan's overall operations including strategy, regulatory compliance, network management, sales and marketing, provider relations, medical management, finance and government relations in Nebraska. He joined the West Division team, led by Stephanie Davis, senior vice president and division president, WellCare Health Plans. "We're excited to welcome Tim to our team," said Davis. "With more than 25 years of experience in the healthcare industry, his leadership and expertise will help ensure we deliver quality healthcare services and resources to our members and the community to promote better health outcomes in Nebraska." "It's an honor to join WellCare of Nebraska," said Meyers. "I look forward to working with our talented and dedicated team to support quality and access to care for Nebraskans." Before joining WellCare of Nebraska, Meyers held vice president positions at Aetna where he was responsible for underwriting and actuarial duties related to commercial group lines of business in local health plans and national accounts. Prior to that, he served in leadership roles at Deloitte Consulting, Coventry Health Care and Deloitte & Touche. Meyers earned a bachelor of science in mathematics and statistics, actuarial science from the University of Nebraska. As of Dec. 31, 2018, WellCare of Nebraska serves approximately 80,000 Medicaid members in Nebraska. For more information about Heritage Health, visit www.neheritagehealth.com.